MetLife is one of the most recognizable brands in the insurance industry and this MetLife Life insurance company review will give you a better picture of the strength of the company. This will give you a good idea of why they made our list of the best 10 life insurance companies. MetLife has been in the business of offering insurance and financial services products to its customers for more than 140 years. The company initially got its start in the year 1863, when a group of businessmen in New York City started the National Union Life and Limb Insurance Company. The firm’s first customers were primarily Civil War soldiers and sailors who were being insured against war-time disabilities. Needless to say, the insurer had a difficult beginning. By the end of its first year, the insurance carrier had only written 17 policies for life insurance and 56 for accident insurance. And, of the total 27 insurers that were operating at the time in New York City, it was solidly in last place – and, it also had a financial deficit of $1,400. Over the next few years, the insurer went through several changes – including revisions in its name – and in 1868, it re-opened its doors as Metropolitan Life Insurance Company, or better known as MetLife. Unfortunately, just a few years later, a major depression hit, and the company faced further difficulties. However, it eventually turned itself around. 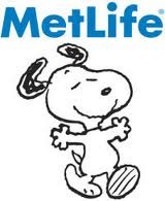 And, by the early 1900s, MetLife was the nation’s largest insurance company in terms of in-force insurance. This is a position that the company continues to hold now in the United States, and in North America. Today, the company is currently headquartered on Park Avenue in New York City, NY. In 2010, with its acquisition of American Life Insurance Company (Alico) from American International Group (AIG), MetLife now serves 100 million customers in more than 50 different countries around the globe. The company provides life, accident and health insurance, retirement, and savings products via a vast array of agents, as well as through third-party distributors such as brokers, banks, and direct marketing channels. MetLife has products that fit the needs of both consumers and businesses. In just the United States alone, MetLife serves 95 of 100 top Fortune 500 companies. At this time, MetLife Insurance is not currently accredited by the Better Business Bureau (BBB). Term life insurance provides death benefit protection only. With this type of life insurance, an individual will typically be protecting their named beneficiary for some type of temporary need, such as the payoff of a home mortgage or for a child’s future college education expenses. Typically, term life insurance can be purchased for a specific amount of time, such as for five years, ten years, 15 years, 20 years, or even for 30 years. This will often depend on the carrier that is offering the policy, as well as the age and the health of the applicant who is purchasing it. Many insurance carriers will also offer a 1-year renewable term life insurance option. Simplified Issue Term Life Insurance – This term life insurance policy is offered in amounts that are below $100,000. There is no medical examination to contend with for underwriting purposes. Therefore, those who may have certain types of health issues could still qualify for coverage. There are various options to choose from in terms of benefit periods. Applicants may apply for coverage online or via phone. One Year Level Term Insurance – With the one-year level term life insurance option, an individual can find a short-term protection solution. A convertible and Renewable Option Rider may be able to be added, which could extend coverage to five years, and which could also conversion to a permanent policy after the first year. Level Term Life Insurance – For coverage more than $100,000, MetLife offers the level term life insurance option. This option provides premiums that are guaranteed not to increase throughout the length of the coverage term. Whole life insurance is a type of permanent life insurance coverage. With a permanent life insurance policy, the policyholder can receive both death benefit protection, as well as a cash value component. The cash that is in the cash value component is allowed to grow tax-deferred. This means that there is no tax that is due on the growth until the time it is withdrawn – essentially allowing it to grow and compound exponentially over time. This cash can be either borrowed against or even withdrawn – for any reason that the policyholder wishes. Therefore, it could be used for paying off debt or for supplementing one’s retirement income in the future. The amount of the death benefit on a whole life insurance policy is typically locked in and guaranteed, as is the amount of the premium – and, the policy cannot be cancelled by the insurance company, provided that the premium continues to be paid. A whole life insurance policy is usually intended to be kept for the “whole” of an individual’s life. So, while the premium may start out higher than the premium of a comparable term life insurance policy, over time, I may end up being less. Universal life insurance is another type of permanent life insurance coverage. It is considered to be more flexible than whole life insurance. One reason for this is because the policyholder can – within certain limits – choose how much of the premium payment will go towards the death benefit and how much will go towards the cash value. The policyholder may even be able to change the timing of when the premium payment is due, based upon his or her changing needs over time. Two of the key benefits of universal life insurance include the guaranteed life insurance protection that it provides, along with the cash value accumulation that it can produce via the policy’s interest crediting rates. Variable universal life insurance – another type of permanent life insurance coverage – is a type of policy that essentially combines life insurance with an investment component – all in just one policy vehicle. Here, the policyholder can have a permanent life insurance plan that provides the opportunity for the cash value component to grow based on market-based performance. MetLife Insurance Company offers a variety of Universal and Variable Universal life insurance products to choose from. Survivorship life insurance is a type of policy that covers two lives. This life insurance is sometimes also referred to as second-to-die life insurance. The death benefit on these policies will pay out when the second insured on the policy passes away. There are many different planning strategies that can be enabled by using Survivorship life insurance. For example, many of those who are in need to estate planning techniques may look to a second to die insurance policy for equalizing their estate. These plans can also be used for providing funding for the case of a special needs loved one. In some cases, an individual may not be able to qualify for traditional, or medically underwritten life insurance coverage. This could be due to having a health or medical issue that the underwriters deem as being too risky to cover for a regular term or whole life insurance policy. Therefore, MetLife offers a guaranteed acceptance whole life insurance policy. Those who are between the ages of 50 and 75 years old cannot be turned down for this coverage due to health reasons. The face amount of coverage ranges from $2,500 up to $20,000 – which makes these plans ideal for paying off final expenses such as funeral and other related costs. The monthly rate for this coverage starts at $12. There is no medical exam required as a part of the underwriting process, and there are no health questions that an applicant is required to answer. Applicants are even able to apply for this policy online or via the phone. Along with its other strong features, MetLife also has a good, positive reputation for its service and claims processes. There are several ways in which customers and policyholders can reach the company for doing any number of things, including changing their address, updating their beneficiary, or even just asking a question – these methods include calling via a toll-free number, emailing the company, chatting via online chat, or completing a form online and then awaiting a return phone call. There is also a way for policyholders and customers to set up an online account so that they can manage all of their information in one convenient online location via the company’s website. When obtaining the best cheap quotes on life insurance for MetLife policies – or for any life insurance coverage – the best way to go about it is to work through either an agency or a company that has access to more than just one insurance carrier. This way, you will be able to compare, in an unbiased manner, the benefits, features, companies, and premium quotes of multiple insurance carriers – and from there, you can then determine which one will be the best for you and your specific needs. If you are ready to move forward, we can help. We work with many of the best life insurers in the marketplace today – and we can assist you in obtaining all of the pertinent details that you require for making an informed purchase decision. We can do so for you quickly, conveniently, and easily – all from your computer – and without the need to meet in person with an insurance agent. Therefore, when you are ready to being the process, use the quote form on the side of this page. Should you find that you still have any questions regarding the type and / or the amount of life insurance coverage that you may require,, our experts are here and can be reached directly via phone. Please feel free to contact us, toll-free, by dialing 888-229-7522. Obtaining life insurance coverage is an essential part of nearly anyone’s overall financial planning process. When choosing the policy that you need, though, there are several criteria that you need to consider. Certainly, the type and the amount of coverage that you get will be important. This is because you will want to ensure that your loved ones have enough life insurance protection to pay off debt and / or to move forward with the ongoing income that they will need. In addition to the actual coverage, however, the company that you purchase the protection through must also be reviewed. We understand that you want to ensure the right amount of life insurance coverage for those whom you love. Doing so will give both you and them the peace of mind that you all deserve. Don’t leave your loved ones and survivors without the financial support that they require. Contact us today – we’re here to help.